If you are interested in investing in property or real estate, you will need investment property financing. 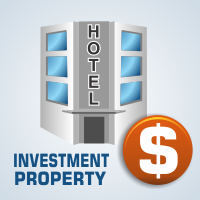 The Investment Property program is developed for clients who are seeking to diversify or expand their investment portfolio and who have a proven history of managing their finances and credit responsibly. This program also enables business owners, entrepreneurs, investors, and real estate buyers to capitalize on current mortgage rates to build wealth and grow their business. In addition to purchasing an investment property, borrowers can refinance existing properties up to 80% loan-to-value. Alberta Equity offers all types of Investment financing from rental houses and small duplex rental properties to townhouses and condos. You can access commercial financing for strip malls, office rental spaces and large apartment buildings. Get investment property financing in most major centres and surrounding areas in Alberta including Calgary, Edmonton, Red Deer and Medicine Hat. Alberta Equity has helped over 50,000 people find and qualify for the best mortgages in Canada for over ten years. We do all of the heavy lifting and ensure that you get the best mortgage rates and product features available. Apply online for a free, no obligation consultation.